Need a customized wardrobe cabinet, but couldn't find anyone to meet your request due to the small volume of order? Look no further! 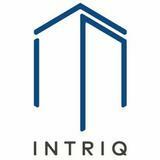 Intriq Carpentry is here to solve all cabinetry solutions no matter how major or minor the works.